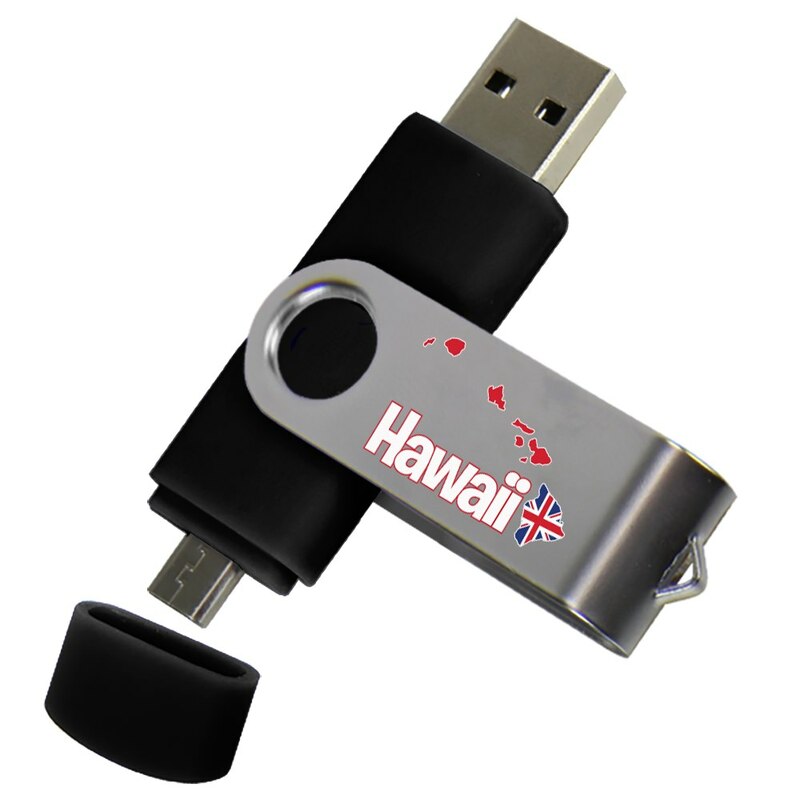 We like to give back to our customers anyway we can, so with your qualifying purchase you’ll receive this black Hawaii Islands Dual Pro Micro to USB 32GB drive! This drive is great for multi-device use; it features both a standard and a micro USB connection! This drive has a sturdy plastic body that will ensure it will last. Hawaii is beautifully printed on the steel swivel cap closure. The swivel closure and black plastic cap both work to protect both of your USB ports! We hope you love your gift!